Get Physical is not only minimal techno and glitchy house. It encompasses more than such simplistic reduction. Dj T, its headhoncho, is a cultivated man with loads of years in the music market and tons of records listened to and with many influences that has forged an eclectic mind and that every now and then showcases for the enjoyment of the rest of us. Among so much music and online disorder when it comes to releases, it is more than welcome to have a compilation with a shared theme. That is disco. Disco itself is one of the broadest genres and with many splinters. 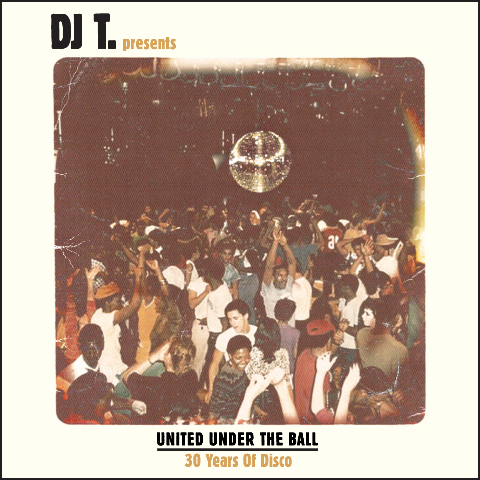 Dj T tries to give you a bit of everything in this, I think, very good effort in putting together a nice selection of tracks that somehow owe respect to the sometimes derised, abused and misunderstood word disco. In the digital age, the compilation has lost much of it’s former glory. Not too long ago it was an indespensable format for the music-lover. Was it brilliantly compiled and telling a special story, the compilation was a significant gain as a particularly successful artist album. In recent times, the compilation has been cheapened with generic ’Ibiza’ and ’Miami’ labelling as the genre compilation all but dissapeared from the scene. This brought DJ T. to an idea, to create an homage to this nearly extinct format. As vol. 1 of the project is supposed to be a highly visible counterpoint to the ubiquitous, mostly House and Techno-stocked season sets and theme compilations, his choice fell on Disco; one of the oldest species in club music. Disco is currently experiencing a sort of rennaissance, with many young, and until recently, completely unknown artists and labels carrying the heritage on by working with new and contemporary definitions. Naturally limited by the selection of works available digitally, DJ T. chose a very personal array of 43 tracks to give the connoisseur an overview of the newest branches in the Disco-tree and to cover as many diverse genres the last three decades have seen. As the ’cherry on top’, the compilation contains a handfull of exclusive and unreleased tracks, including two new edits of the old DJ T. classics ’Philly’ & ’Funk On You’. Catz ’N Dogz appear with a remix of ’Dis’, the big hit of his second album. DJ T. also put his hands on one of his favourite classics ’Around The House’, one of the early works of the Hamburg-Disco-King Tensnake. In addition there are two unreleased tracks from the two mexican artists Robbie Akabal & Muan and Damian Uzabiaga.